In recent years the number of people who have an allergy to sharp smells have increased. Sometimes some scent may cause headache or other discomfort. For such sensitive users we made “Cream Deodorant ENJOY Effect with a light scent”. Cream removes the smell of sweat so that it does not violate natural balance of sweat in body and in many cases it does not cause allergic reaction from cream`s scent. Find other possibilities of the cream in the annotation. “Cream Deodorant ENJOY Effect with a light scent” is a great comfort in a small vessel. Cream does not contain: Aluminum chlorohydrate, Aluminum-zirconium tetrachlorohydrex glycine, Lead Acetate, Alcohol, Parabens. Cream is made on the base of natural oils and natural starches. It has been tested in the EU toxicity and allergies. Made of application: Rub cream lightly on dry skin to the full disappear. “Cream Deodorant ENJOY Discovery” is for people who love traveling and long hiking. Sometimes in such situation we have no opportunity to have a nice shower. In such a time it will protect us from the smell of sweat not to violate natural balance of sweat in body. Cream protects skin from the sun`s rays by 100%, which will protect from complications caused by sun burning. It is effective in caring for mosquito bites. As well as for the skin fungus prophylaxis. Find other possibilities of the cream in the annotation. During traveling you can have a great comfort in a small vessel. Aroma: adapted for travel and pleasant. “Cream Deodorant ENJOY Sport” is for people engaged in sport. Sweat ducts are especially widened in physical activity. What do you think how would it be right if we try to stop them by different antiperspirants? It removes the smell of sweat so that it does not violate natural balance of sweat in body. You can use it as before physical activity as after having a shower. Find other possibilities of the cream in the annotation. This cream for sportsmen is a great comfort in a small vessel. “Cream Deodorant ENJOY Effect for WOMEN”. Dear women! We really wanted to make such cream which would be close to woman`s nature, emphasize your tenderness and confidence. Our goal was to make such a safe cream which can be used even during pregnancy and breastfeeding. It removes the smell of sweat so that it does not violate natural balance of sweat in body. It`s possibility is more than only deodorant. You can use cream after epilation. It`s comforting effect is felt within a few hours. Find other possibilities of the cream in the annotation. Choosing this product you buy a great comfort in a small vessel. Aroma: nice smell, airy and pleasant. “Cream Deodorant ENJOY Effect for MEN” was made for modern, active men. It removes the smell of sweat so that it does not violate natural balance of sweat in body. Men can feel confidently in any situation with this cream. Possibility of cream is more than deodorant. You can use it after shaving in irritation places where rash is fixed. Find other possibilities of the cream in the annotation. 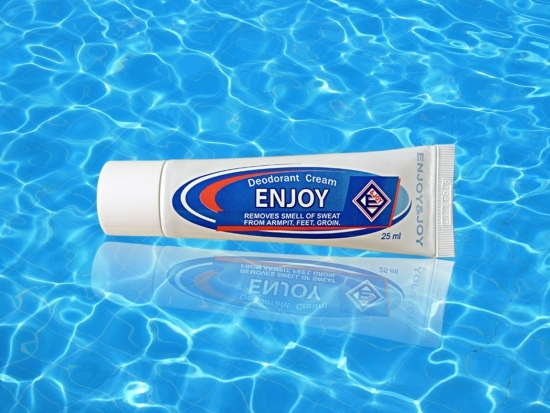 “Cream Deodorant ENJOY Effect for MEN” is a great comfort in a small vessel. Şirket ENJOY kremini, krem deodorant ENJOY ismi altında yeni bir ambalaj içinde sunmaya karar verdi. Krem, havadan, ışıktan ve diğer olumsuz etkenlerden koruyucu birkaç tabakası bulunan Avrupa standartlarındaki tüplere yerleştirildi. Ürünü tüp içinde kullanmak artık daha rahat. Yeni ambalaj kullanıcıların farklı dillerde bilgi almalarına izin vermektedir. 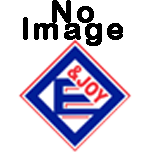 ENJOY & JOY LTD şirketi web sitemizde HABERLER başlığı altında öğrenecekleri yenilikleri üretmeye devam edecektir.